"I love using bar numbers and the multiplication techniques, especially with some of my classes. They are really taking to the approaches which underpin VM. A particular group enjoyed multiplying by 11, and then because of the flexible nature of this method, they asked if it was possible for other times tables. We spent the next part of the lesson devising a strategy for multiplying by 12, 13 etc. And yes, I've had a few children saying to me, "Why weren't we taught this way at the start?" and "This method is so much easier!" Pupils who would normally not want to volunteer are putting their hands up to answer questions so quickly that it's hard not to look surprised!" "I am teaching VM methods to my child now. He is very excited when I taught him the 2-digit multiplication and multiplication with 11. These days he is following only VM to do multiplications and he feels as if he is a magician. At school he surprised his friends by doing them with VM. I feel children adapt more easily to VM than adults." "I only had heard about Vedic Maths. I knew it was fast and easy. But it is entirely different since I experience it. It's much easier, simpler, faster, more interesting, more exciting, and full of fun. I feel overwhelmed by the power of this Vedic Math- not known or heard before. I feel the more I delve into it, more treasure I am getting from it. I just don't want to come out of this most exciting, funfilled moments of my life. I told my brother, nephew, my son, and my family about this, and I said this Math is so much fun I never imagined before. I am simply excited about it, and want to keep doing it forever. I really want to share this magical maths with lot of people, and change their approach towards it. 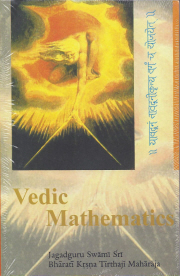 I want to help lot of students master some of the most difficult topics of Math using Vedic Math. I am totally excited about learning this new Math." "Introduced my students of 1st, 2nd and 3rd grade to subtraction using all from 9 and the last from 10 for subtracting numbers near a base. They just loved the method. During the maths lab activity I had combined all the students together. And using this method the 1st grade students could compete with 2nd and 3rd grade students with the speed which I had not imagined. When I started learning VM 5 years back, there was a misconception that VM is only for high school students. But this training has proved it wrong. I can introduce even 1st grade students to VM and the results are amazing. They have started loving maths." "For 11 years we have been struggling with math as a homeschooling family. After completing this week's video lessons all I can think of is the WASTED years. I do mean years. My oldest is 17 and my youngest now 2. I've been frantically looking for a math program that will help us learn math, love math, and really get a grip on numbers and the beauty of numbers. I've learned a few tricks along the way that will make math easier (counting backwards and skip counting backwards, ten frames) but nothing as simple and easy as this stuff. Good grief! We are making this so hard and at least in the USA our kids are learning very little of real math. . . . OK, I'm sold. " "VM is amazing and we have seen a lot of results, we actually had a student struggling with the basics of Math for years; she came to us in 7th grade for about 6 months and really changed a lot. I met with her mom (a special education teacher) a month ago; with our help she finished 8 grade with math honors! Mom said it's clearly due to the VM lessons and she is now using them all the time!" "The more I am learning the more awed I feel about the simplicity of the Vedic System. I shared one of the addition technique with some my students and reactions on their faces were amazing. One common question they all had was when this method is so simple and can be done mentally why are we taught the cumbersome method in the school? I told them that this system was lost/ignored for many many years and now people have realized their importance and would be used more and more. I am having a wonderful experience of learning and teaching........can't wait for the next set of lessons!!" "If I'd have had VM 15 years ago it would have saved our family years of grief and stress. We homeschool and math has been the thorn in our side since grade 2. Everything was made to be hard and difficult. How beautiful and simple VM is! At first I was annoyed that we wasted so much time, but now I am grateful to have had the experience of going through the transitional route as now we can see clearly the beauty of VM and how blessed my youngest child and my students will be to experience VM very young. " "Recently (on Dec 15th) I gave a two hour presentation in Monroe, Louisiana. The audience were spell bound and the organizers received an amazing feedback. They video taped the program and took an interview for 5 minutes at the end." "Even our weakest maths student Sukaran mastered it so well that he remarked, "Come what may, I can never get the question of simultaneous equations wrong in the GCSE examination"." "I taught calculating squares and square roots to 9th grade kids on this street and they had their mouth wide open in amazement. They said they especially hated finding square roots the traditional way. Now they want me to take a VM boot camp during their Dasara holidays (from 14-30 of this month) and cover Algebra and relevant topics. I wish the teachers can witness this interest and growth in the children learning VM techniques and are open to give it a try." "I found the 7 tutorials on Vedic Maths on Internet in 2000. I used that with some of my students then. This year I spent one week with each of my classes and taught them these methods of multiplying and dividing. For the first time students were eager to do maths and wanted more of it." "All I can hear from them is "wow" and they get frenzy when they started to be able to solve math problems up to 4-digits times 4-digits multiplication in their heads. Some students approach me expressed how thankful they are that I teach them Vedic Math. They were already in their 3rd year level and still struggling in their multiplication skills and this is a relief for them." "My entire attitude about math changed today. Even though we only went over basic arithmetic, I can see the logic in what you taught me. My grandchildren will not have a fear of math because of what you taught me today." "The students are very enthusiastic and came up with alternate solutions for some of the techniques. Many parents used to drop their kids for the classes and used to pick up at the end. After the Medhavadhanam program (where the kids answer the audience questions (selected topics like cube roots, fifth roots, telling recurring decimal places for fractions like 1/29, 1/79 etc.) without using any computing aid, not even paper and pencil, within a minute. Now many parents got interest seeing their kids performance. Now they are asking me to take another session to explain those techniques. This is the change I have been looking for the past 8 years. Finally took a shape." "I just happened upon your website and am amazed at such simplicity! Within a few moments of playing around on the tutorial and my world has changed. I cannot wait until the rest of the household awakens so I can show them my new speedy brain...and then show them how to be so quick! I am not involved in any heady, important math position; I just love numbers. I was a Kumon Instructor, though, about ten years ago and seeing Vedic Math makes me cringe when I realize how many unnecessary steps the students had to take to arrive at an answer. Thank you for sharing your knowledge and understanding of Vedic with the world. I am glad to be enlightened!" "But the interesting part of it is once you start doing it you start understanding the power of VM and you just get drawn towards it. And the coherence and the simplicity of the methods....it's pretty much like a novel, you start at the first page, you just cannot stop until the last page - it's very similar to that. Once you get into it you just don't want to stop because it's so powerful." "I am really impressed to teach Vedic math to my kids and the system is really working. My kids enjoy learning math and scoring highest mark in every tests and exams. Thanks so much"
"I was watching my lessons 13, 14 and 15 and my daughter asked me to teach her that. So I went ahead and taught her hardly for 5 -10min "multiplication near a base" and so surprised to see that she got it right away! She is going to be 7yrs old in few months. She said- I made a connection. She has been asking--- is there a 7 point circle?, 6 point circle?" "One young girl, aged 9 was brought here by her mother and was very unwilling to have anything to do with me. She was crying. I let her cry for a while and then told her that we would either have to ask her mother to pick her up, or we should get on with our lesson. She turned around and said that she would have a lesson. That girl was at the bottom of the class in maths, she had very low self esteem, had talked of killing herself on more than one occasion and was seeing a therapist. Within a few weeks she was learning at a rate that I found astounding, she was at the top of the class, excelling in English, no more therapist, achieving in sport and an all round delight of a child. I told her mother that she didn't need any more lessons, but the mother told me that the family needed her to continue having lessons with me. She is now pushing me to learn more and more Vedic maths to keep up with her insatiable appetite for mathematics." "Mr. Bhudia, I am so appreciative for the class with you. You are a wonderful teacher! I am in awe of the techniques you shared with me and appreciate your patience. I know that I asked a lot of questions, but I want to know exactly how I can practice the techniques you taught me. You were very kind to spend so much time clarifying whatever I asked." "The student population I work with can be relatively difficult to work with. When expelled students, and students not long out from juvenile detention periodically give you a big grin in getting the correct answer...it's twice as nice as a mother's advice. It makes them relax and relieves them of mathematical anxiety and stress." "Hi! I live in London and go to St James Independent School for Boys which supports Vedic Mathematics very strongly [this school no longer teaches VM]. I am due to take my Maths GCSE this year (a year early) and then Additional Maths. I am very likely to take Maths and Advanced Maths for A-Level. At school, we don't use calculators until the very last moment (when trigonometric functions are required). Therefore we are well grounded in Vedic Mathematics and how it can make life so much easier. Even though I am now allowed to use a calculator at school, I find that Vedic methods are much quicker and a brilliant training for the mind. " "I started teaching few simple VM sutras to my 7 year old - multiplying by 5 and multiplying by 11 and she gets so excited and can't wait to learn all of VM. She keeps asking me when will I do my next VM online class, she wants to listen with me. I truly believe kids get more interested in maths because of VM." "After watching the video, I prepared the following worksheet, based on the video and tried it with my topmost GCSE group on Wednesday , the 9th November during my one hour lesson with them. I gave them 45 minutes to do the work and then explained all questions to them by Vedic Maths method quoting the sutras - "Spot the obvious and If one is in ratio, the other is zero". They were amazed and would never forget the lesson for rest of their life because they had really struggled doing the questions by normal methods." "I have been teaching a neighbors kid (8 year old) some VM on the fly. He was so impressed by the system that he decided to make VM his 3rd grade science project - "Is Vedic Math better than Conventional math". Then he called 4 or 5 of his friends, taught them some concepts and timed them. The result of his project was VM is faster and more fun. In one specific instance the time came down from 7 min to 45 seconds..."
"This makes me even more appreciative that I participated it such a profound course as Vedic Maths. I also received an indirect compliment by a couple of my students, they said "Mr. Pollard would you please give me more homework, I really want to get this." Michael Pollard, teacher in U.K.
"Today, I showed the Vertically and Crosswise method to my little students (10 -11 years old). I showed them some examples and they tried for themselves after that. We spent nearly two hours computing 2-figures multiplications, the first hour with a pen, and the second with no pen for those who were comfortable with it. From left to right, right to left, from crosswise to vertical, everything was tried. Near 80 multiplications. They were eager to learn and to perfect their skills. They don't want to write multiplications any more. It was wonderful. At the end, they were not tired and asked for more. But I was exhausted because of my leg." the 3's, the 6's and the 12's. We worked together, with me trying my best as the conductor, to keep up with the frantic pace. The students eventually let go of calling the numbers and began to hum the rhythms. The musical result was incredible. I have never been able to reproduce this experience. It was one of the highlights of my career as a teacher." "The kids are thoroughly enjoying the VM sessions and I feel so good when I see their eyes brighten up every time I show them a technique. Almost every class they clap at the end of the lessons as they are so excited." "Today I have taught Bar Numbers to my 6 grade students and they were like WOOOW!!! Even during the break they stayed at their desks, taking numbers randomly and doing subtractions. They even asked me if they can use this method anytime, because it is easier than the traditional one." "Love the information available on your web site. I am new to Vedic but have been trying some of the methods with my students and they have started to create a real buzz around school. Many thanks"